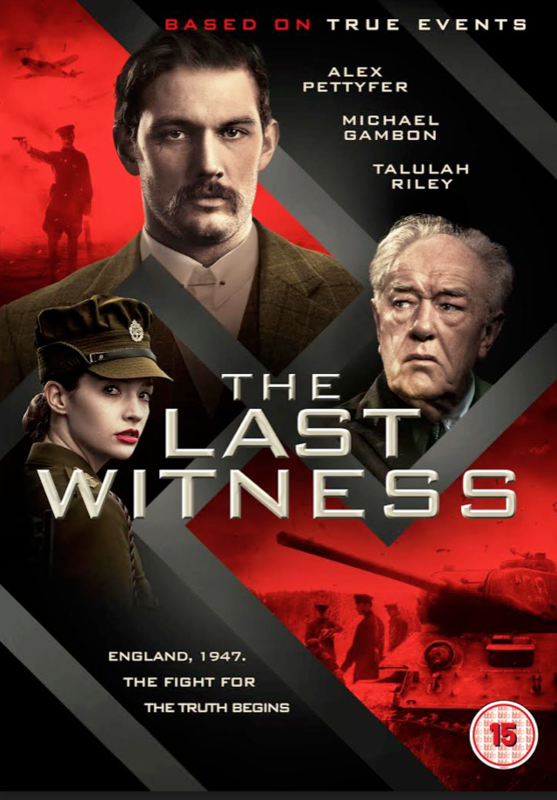 The Last Witness is a UK/Polish political thriller directed by Piotr Szkopiak, starring Alex Pettyfer (Magic Mike, I am Number Four), Michael Gambon (Harry Potter, Victoria and Abdul), Talulah Riley (Pride and Prejudice, Westworld), Robert Więckiewicz (In Darkness, The Mighty Angel) and Will Thorp (Coronation Street, Casualty). The movie tells the story of Stephen Underwood (Alex Pettyfer), an ambitious, young journalist. In 1947, the body of a Polish ex-serviceman is found on a beach near Bristol. This isn’t the first time this happened, but like before, the police say it’s a suicide. Underwood doesn’t believe this explanation and wants to investigate the case. Unfortunately his boss isn’t interested in the story, still, Underwood won’t let go. Others try to dissuade him from his investigation; his girlfriend who is married to an influential, gay man and his brother, who is in the army. The dead men lived at a resettlement camp for Polish ex-service men who didn’t want to return to their Soviet-occupied home country after the war. Underwood contacts Colonel Janusz Pietrowski, a Liaison Officer at the camp, and finds out about a conspiracy. Pietrowsky tells Underwood about a Russian who also lives at the camp and who saw something, back in Poland, during the war, that might offer an explanation for these alleged suicides. One night, Underwood enters the camp and steals a diary and letters that are in the possession of the Russian man. The letters belonged to a Polish cadet. Underwood has the documents translated. What he finds out fills him with horror. In 1940, 22,000 Polish officers and intelligentsia were killed in a massacre that would later be known as the Katyn massacre. In 1947, it was said that the Nazi’s killed those men. For many reasons the governments of various countries decided to cover up the the real story and go with that interpretation. The movie dramatizes this aspect, making it information that had to be kept a secret at any cost. Underwood, who is very persistent, finally manages to find out the truth and puts himself in great danger. While this film is inspired by events that took place during the war, the story as such is purely fictional. 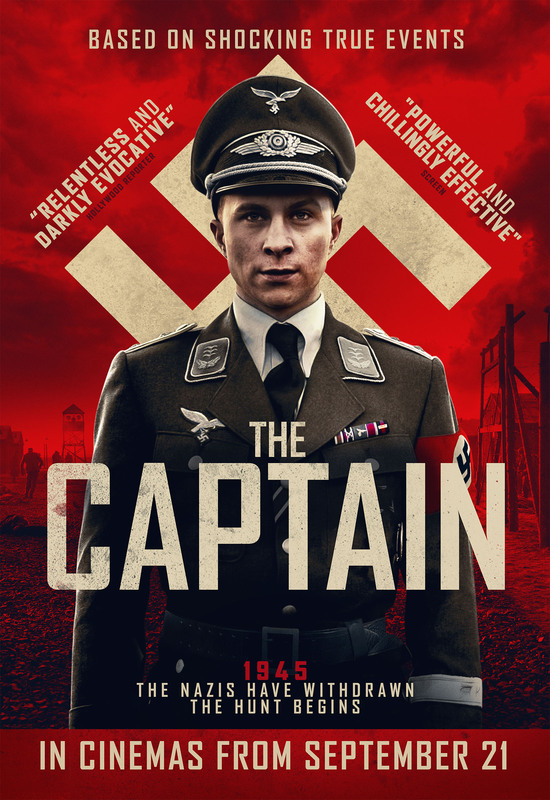 I’m not always keen on films who go as far as The Last Witness in fabricating a story to explore an aspect of the war, nonetheless, I found this very watchable. I actually enjoyed it. I liked the cinematography, the music, the mood, and the actors very much. The movie has a dark, brooding atmosphere that goes well with the tragic theme and heightens the suspense. The end was rather surprising. 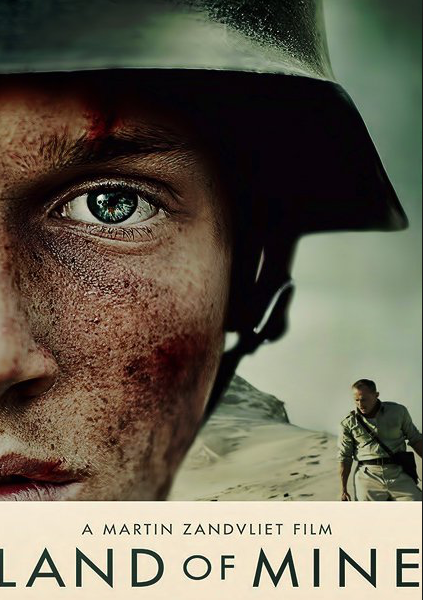 A lot of people are interested in WWII but shy away from watching war movies.This film explores an atrocity, but it can still be watched by those who don’t necessarily watch war movies. It’s explicit but not graphic. On the other hand, those who watch war movies must think of this as a thriller, inspired by true events. The movie is inspired by the Katyn massacre that took place 1940, in Poland. Emilia Szkopiak, Piotr Szkopiak’s mother, was deported to Siberia by the Soviets in 1940. Her father, Piotr Szkopiak’s grandfather, Wojciech Stanisław Wójcik, was executed in the Katyn Massacre. In 1942 Emilia left the Soviet Union and eventually settled in England in 1947 where she continues to live to this day. If you’re interested in the Katyn massacre, here’s a review of Katyn, an excellent movie on the topic. The movie is out on DVD and digital on August 27th. 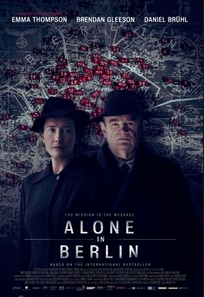 Alone in Berlin is a UK/German/Frenvh co-production based on the novel Everyone Dies Alone by Hans Fallada. The recent English publication of Fallada’s novel was so successful that it’s not surprising it was made into a movie although there are already three German versions. Alone in Berlin tells the story of Anna and Otto Quangel (Emma Thompson and Brendan Gleeson) who lost their son in 1940 in France. This loss shakes the couple. They are disgusted with the Nazy government and decide to fight it. They begin to write subversive postcards, leaving them all over Berlin. The postcards are meant to wake up the Germans in the hope that they too will start to resist. Unfortunately, almost all of the postcards are brought to the Gestapo offices. A police detective, Escherich (Daniel Brühl), has been assigned to hunt them. When the wrong man is arrested and executed, Escherich starts to have his own doubts about the government. Even though the movie is based on a true story, I’m not going to say more since many readers of this blog might not be familiar with it. While I haven’t seen any of the older versions, I’m pretty sure, that they are all better than this terrible film. I haven’t read Fallada’s novel but I’ve read other books by him and he’s an amazing writer. I’m pretty sure, this novel is amazing too, so why was this such an awful movie? First, there’s my pet peeve – the language. It would have been so easy to cast German actors and film this in German, but no, they had to cast Emma Thompson and Brendan Gleeson and let them speak English with German accents. Awful, awful, awful. And ludicrous. Why could they not just speak plain English? After about half an hour I had to switch to the dubbed German version. I can tell you – when I prefer the dubbed version of a film, then there’s something very wrong. That alone would have been enough for me not to like this film, but it’s also terrible for other reasons. While Hollywood has been known to dramatize the crap out of some minor historical event, this version robbed it of any of its dramatic potential. Watching an ad for washing powder is more suspenseful than this movie. The only story line that was mildly captivating was the transformation of the detective. Although I think Emma Thompson and Brendan Gleeson are both outstanding actors, one wouldn’t guess, watching this. Maybe they were told that, on top of the fake accents, they had to keep all the emotions out of their faces. Daniel Brühl isn’t doing a bad job, but he too wasn’t allowed to show his potential. What a missed opportunity. Was there anything good about this, you may wonder? Actually, yes, and that makes it even more infuriating. It’s beautifully shot. Really appealing. Too bad pretty pictures don’t make up for ludicrous fake accents and boring dramaturgy. 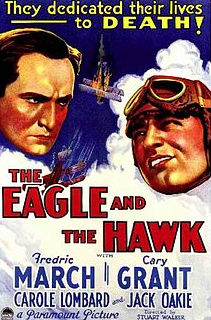 Jerry Young (Frederic March) and Henry Crocker (Cary Grant) are both pilots but while Young is talented and careful, Crocker is rather foolhardy. That’s why, when they are called to got to France, Young makes sure, Crocker isn’t summoned. One can understand why because not only is he not the best pilot, but he’s also cranky and mean-spirited. Once in Europe, Young’s quickly covered in medals. While many pilots envy him for that, he’s getting more and more depressed. Not only is he shocked to lose all of his young observers after only a few missions, but he also hates to shoot down enemy planes. He’s more than a little surprised when he discovers that his newest observer, who has just come over from the US, is no other than Crocker. They didn’t like each other in the US but now this dislike turns into hate. Especially since Crocker treats killing like a sport, while Young’s sinking deeper and deeper into his depression. The true conflict however stems from Crocker’s attitude towards the enemy. Even in war, there are some rules, but he just doesn’t stick to them and does a few atrocious things. When Young shoots down Alfred Voss, one of the most highly decorated German pilots, he earns everyone’s respect but cannot forgive himself for killing a mere boy. Seeing a decorated pilot suffer from his own victories, isn’t something I’ve seen often in war movies but it’s not entirely new. What was different though, was Cary Grant’s character’s development. I thought this was genuinely well done and led to a surprising end twist that I’m not going to forget soon. I’ve seen people comment on the scene with Carole Lombard, calling it superfluous. In my opinion, it gives the movie a bitter-sweet quality and foreshadows tragic events. 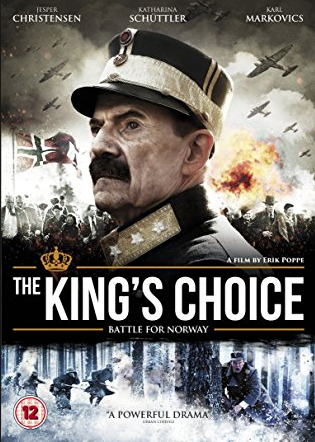 It’s a neat, short movie with two interesting character portraits, a very outspoken anti-war message, a few pretty good air combat scenes and a great and surprising ending. Unfortunately, I couldn’t find a trailer, which isn’t surprising as it’s a movie from the 30s. 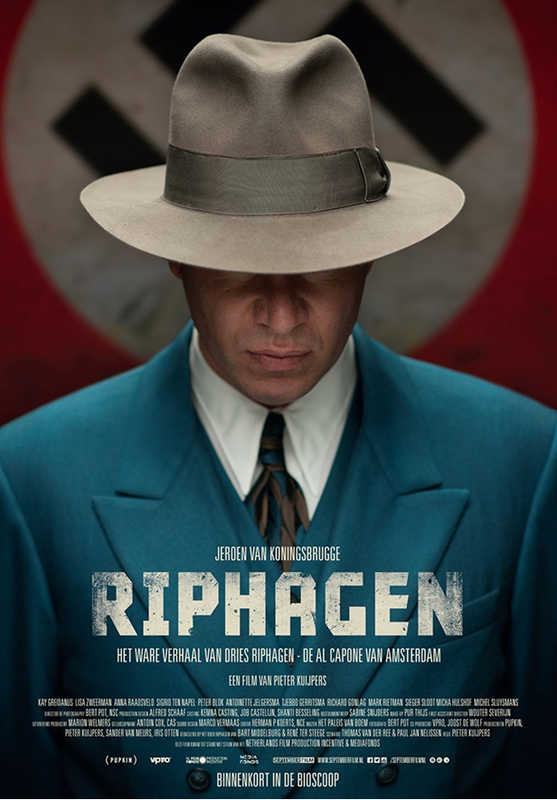 A couple of days ago, I watched the excellent Dutch movie Riphagen, based on the true story of the “Al Capone of Amsterdam”, Dries Riphagen. I’m still speechless, I was so caught up in the story. What a vile creature. It’s often difficult to review a movie based on a true story because one doesn’t know how much one can give away. In the case of a movie based on a famous historical figure, it might be OK to give away the ending but I don’t think Riphagen is universally known. That’s why I’ll only write about the beginning. The fact that I was left speechless at the end, will possibly tell you a few things though. Dries Riphagen was a criminal from Amsterdam who collaborated with the German occupiers during WWII. He befriended Jewish people, sniffing out those with a vast network, and promised them safety and secure hiding places. Hinting at possible searches, he managed to convince them that they should hand over their belongings, jewelry, precious stones, money, for safekeeping. He then had someone take a picture of himself with the Jews he robbed and stored those away, already thinking ahead. If the war would take a turn and Germany would lose, he’d use the photos with these smiling Jews as proof of his good intentions. As soon as he had received all of the possessions of his “charges” he denounced them to the Gestapo, revealing their hiding places. Using Jews whose families had been deported, he infiltrated the resistance, promising his Jewish collaborators that their families would be saved. Needless to say, Riphagen wasn’t keen on seeing WWII end but he was cunning enough to use the general chaos to infiltrate the new government. While many traitors and collaborators were caught, Riphagen managed to use his knowledge and cunning to make even more money after the war. Riphagen is without morals or conscience and such a master manipulator and liar, that he’s even capable of making the authorities believe that some of his crimes were actually committed by people of the resistance. That puts those in great danger but it also triggers their hatred. For the first time, Riphagen does actually fear for his own life as one resistance member has sworn to hunt him down. That’s where I’ll end my review. If you are not familiar with the story, you’ll like to discover for yourself how it all ends. While not as flashy as Black Book, this is another highly watchable Dutch movie. It certainly works well as a companion piece. While Black Book is about the Dutch resistance, Riphagen is about Dutch collaboration. I wasn’t familiar with any of the actors, but they were very convincing. Riphagen tells an extraordinary story and offers a lot to think about. Highly recommended.